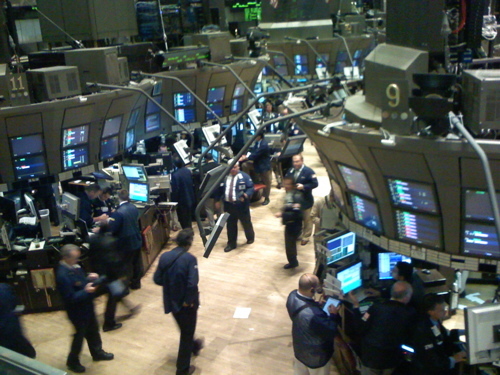 had the opportunity to ring the opening bell to start the trading day at the New York Stock Exchange. 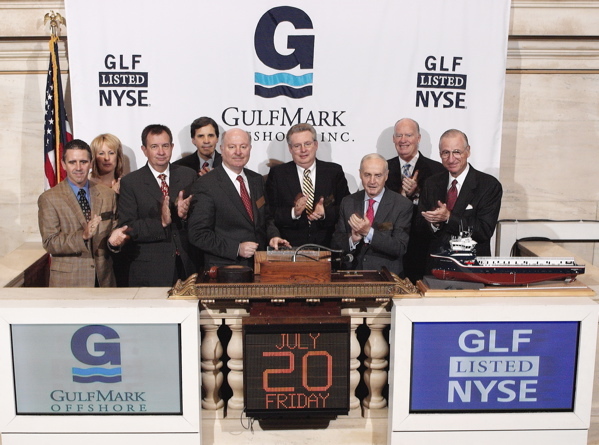 That was the first day of trading of the stock of Gulfmark on the NYSE. The new symbol for Gulfmark is GLF. Formerly, Gulfmark stock had been traded via NASDAQ. 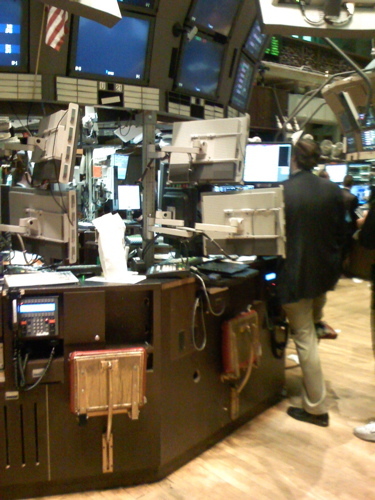 Following the opening, the group toured the floor of the NYSE and met with the specialist that makes the market in Gulfmark stock. As a member of the Board of Directors, Rex Ross was pleased to be able to participate in this most interesting day. 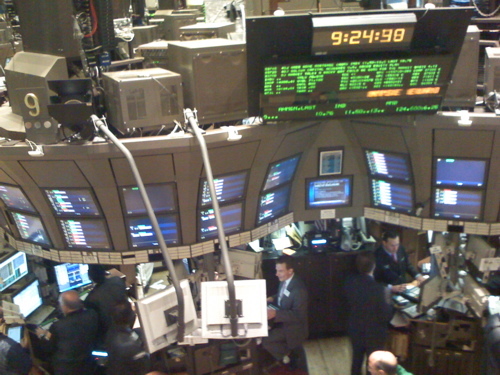 on the NYSE opening ceremony balcony. 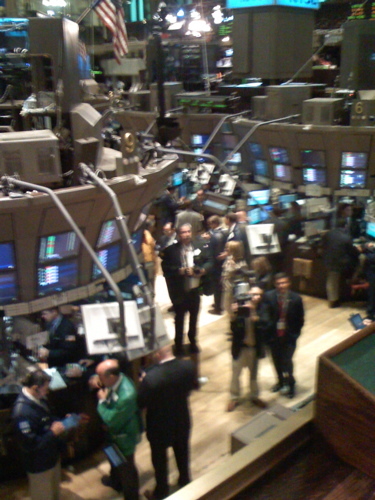 Following the opening of trading, we visited the floor of the exchange.